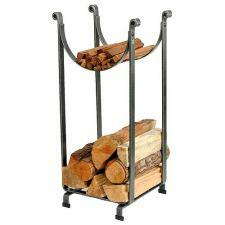 *The kindling holder on top adds functional utility to the elegantly simple design. *Measures 34" High x 16" Wide x 14" Deep. *Quality product made by Enclume in the USA - 29 lbs.